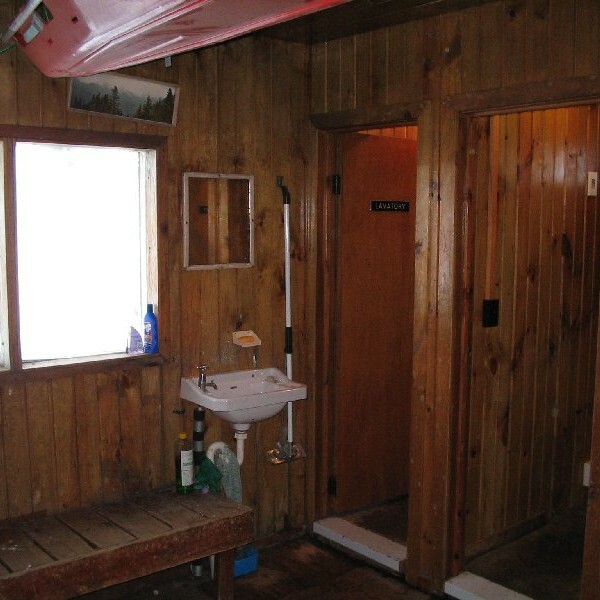 This is an alpine hut and access to it will require some basic mountaineering skills. Users are advised to ensure they have equipped themselves with appropriate mountaineering clothing and equipment. 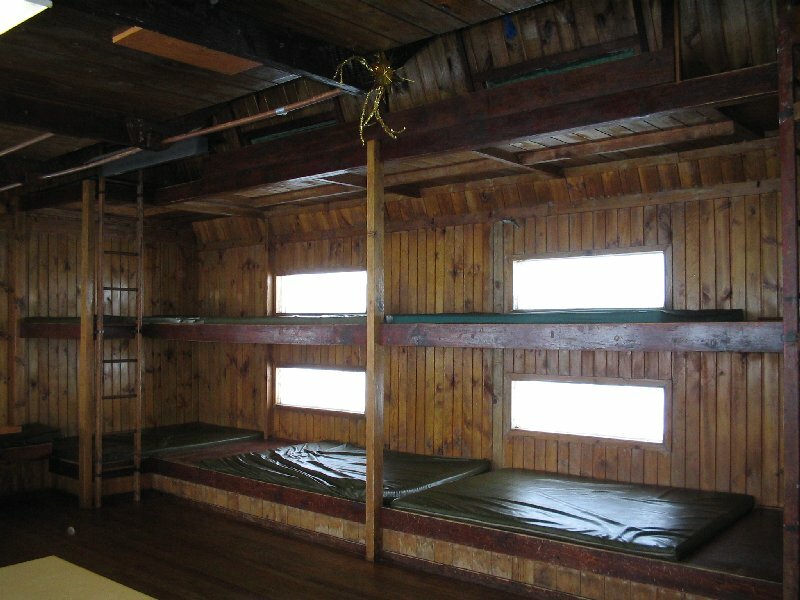 In summer and autumn (from December until early June) the route to the hut is a steep hike, generally possible without mountaineering equipment. Some navigation skills are necessary as the route can be difficult to follow. 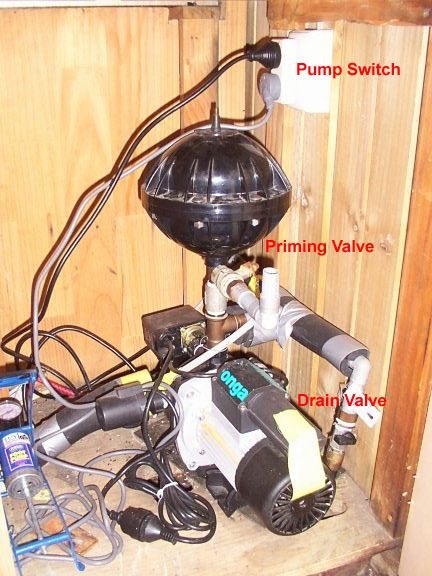 Be very aware of the weather and come prepared for snow any time of year, the weather can change fast and drastically. In winter and spring (from early June until November) an ice-axe, and knowledge of how to use one is required. If travelling in the dark or early morning crampons will generally be needed as well. 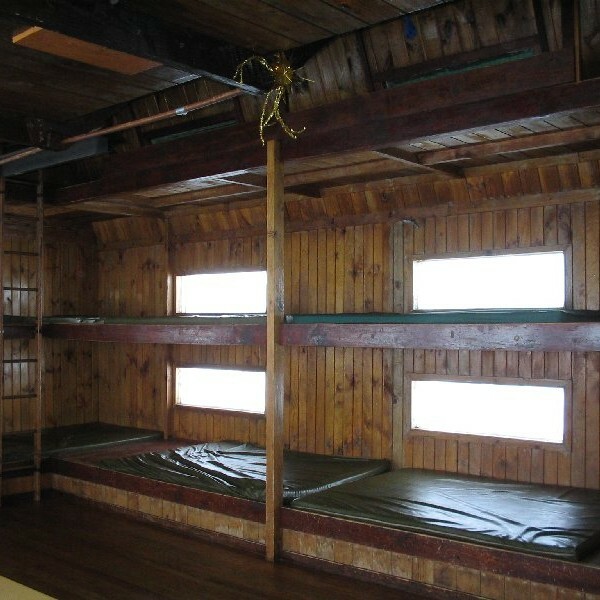 The lifts can be utilised to get up provided you have a lift pass, especially useful if you have skis. Skinning up is also possible, just be mindful of the amount of downhill traffic. The hut is not considered a suitable destination for young children who would not meet these skill requirements, or most importantly not be able to take care of themselves in this high-risk environment, should their adult carer become incapacitated. 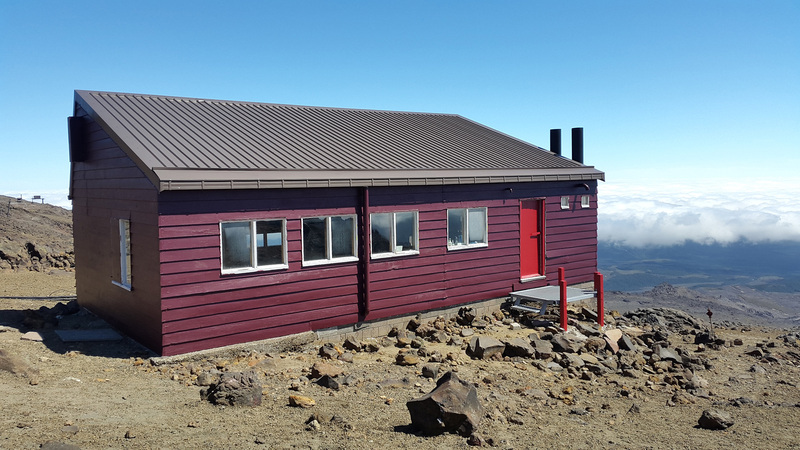 The slopes of Mt Ruapehu offer a fantastic winter playground, and this hut, situated in a spectacular location high on the Whakapapa Ski Field, provides the perfect warm cosy base for climbing, instruction and ski mountaineering. 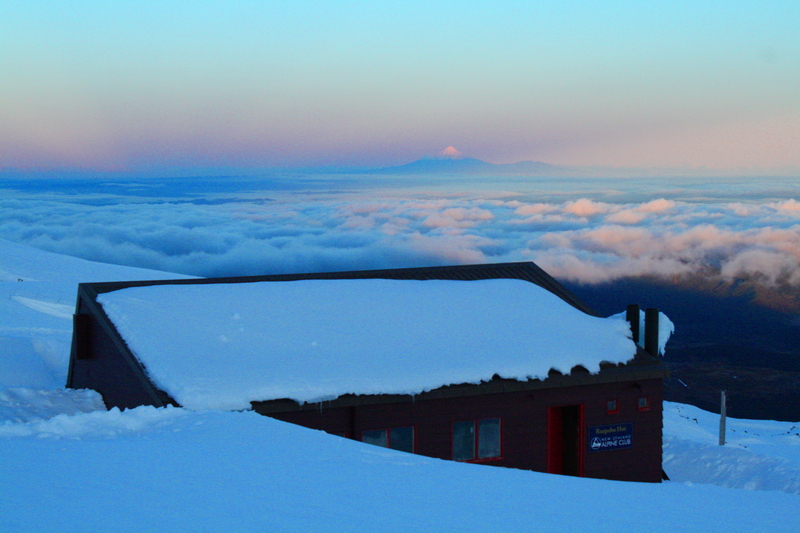 The following short film (1:31min) ‘Whakapapa Views’ was kindly provided by Mark Smith. Whakapapa Ski Field, at 2040m on Delta Ridge, above Delta Corner, north-west slopes of Mt Ruapehu, Tongariro National Park. Parking: There are over 1800 car parks on each ski area, free of charge and on a first come, first served basis. There are day and overnight parks. All the day parks are signposted (Carpark 1, Carpark 2, etc.) The overnight parks are generally on the side of the road or on the loop road by the huts. Parking is generally okay outside of school holiday and Saturday, Sunday mornings. At those busy times, you should make sure you are there early. On busy winter days, there are car park shuttles from the lower car parks to the ski field base area. 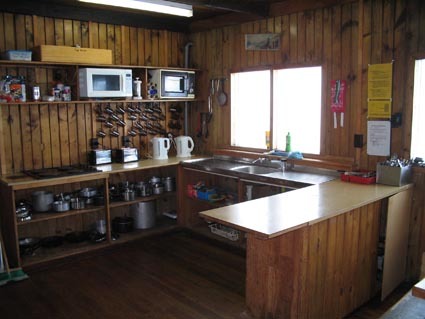 20 bunks, electricity, microwave, cookers (1 two-burner, plus 2 cookers with 1 working burner each), toasters, jugs, cutlery, plates, cups, pots, pans, heating, drying room, water on tap, flush toilets. If no power/water check the switch is on at the switchboard. Instructions are on the wall. If still no power, then it is probably out on the mountain. You can double-check this at the ski lift. If they have power, then please ring the office to advise of any faults. Locked by keypad. The combination will be emailed when your booking is completed. From Top of the Bruce follow the first chairlift, then poled ridge south behind Wanganui and R.S.C. Huts on Hut Flat (1.5 hrs approx.). Although not a great distance from the ski field, basic mountaineering skills are required to reach the hut. See important notice above. At the road end (Top of the Bruce) walk directly up the mountain following the two parallel chairlifts called Rockgarden and Centennial Chairs lifts. A detailed map of this area here. When you reach the top of these chairlifts you will be at Hut Flat. Continue walking up the mountain this time following a single chairlift called The Waterfall Express. At the top of the Waterfall Express Lift, you will be Knoll Ridge Cafe. Ruapehu Hut is on the ridge to the right of the Cafe. Fees are payable by credit card or bank transfer (NZ accounts only) when you make your online booking below. The door code will be sent by email when your booking is complete and paid. Please note that if you pay by bank transfer, the code will not be sent until the next working day as it has to be processed by the staff in the HoM. If you require the code outside of work hours, please pay by credit card. 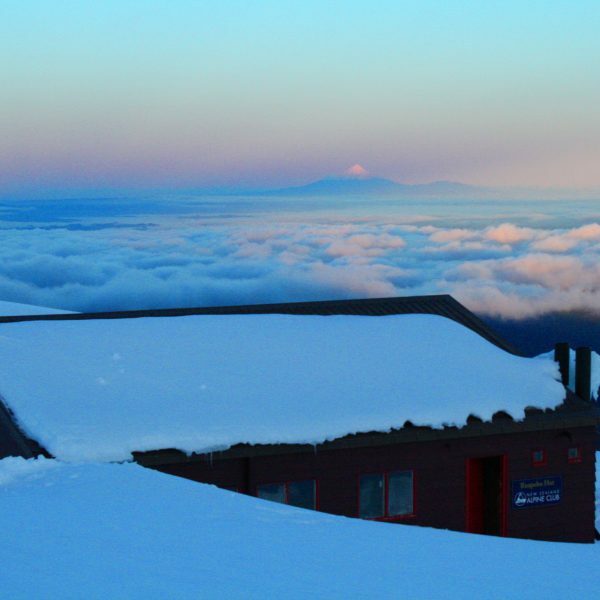 Prepayment is required for bookings at Ruapehu. 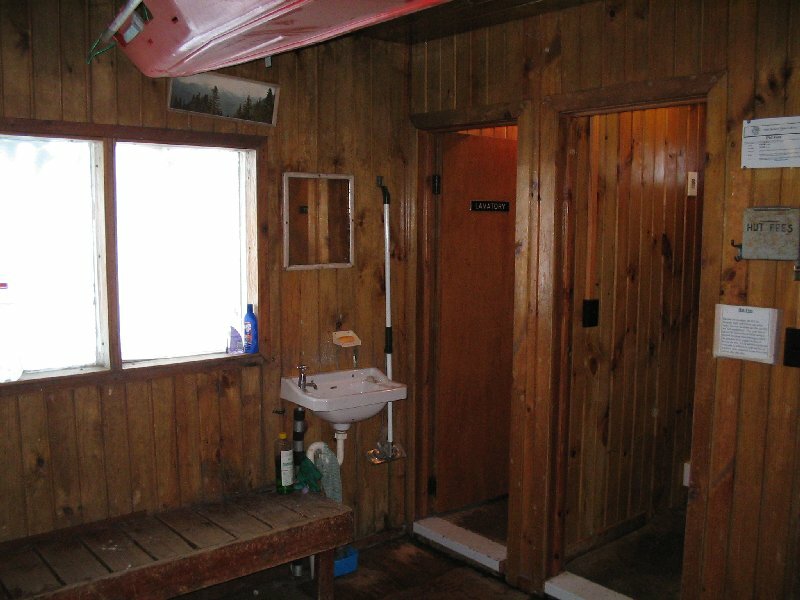 Non-member groups may only fully book out the hut Mon-Thur. Limited spaces may be made available to non-member groups on weekends upon application to the office. 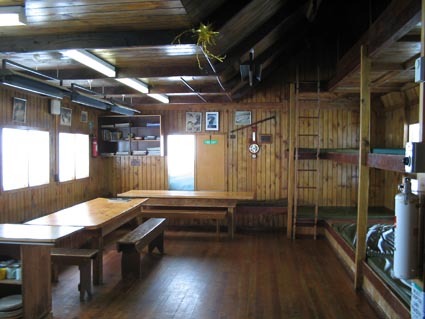 The Auckland Section of the New Zealand Alpine Club often runs courses and trips utilising Ruapehu Hut. If you are interested in finding out more, please check out their section page.